NBLC was retained by The Daniels Corporation and Sun Life Assurance Company of Canada to analyse the housing market characteristics in Mississauga to assess the market feasibility of developing a new purpose-built rental apartment building on the southwest corner of Erin Mills Parkway and Eglinton Avenue West. As part of the analysis, NBLC reviewed the local area demographics and conducted a survey of traditional rental and private condominium apartment rental product to provide an opinion on the viability of developing new purpose-built rental units at this location, as well as overall project positioning, appropriate suite mix, achievable pricing and estimated pace of lease-up. 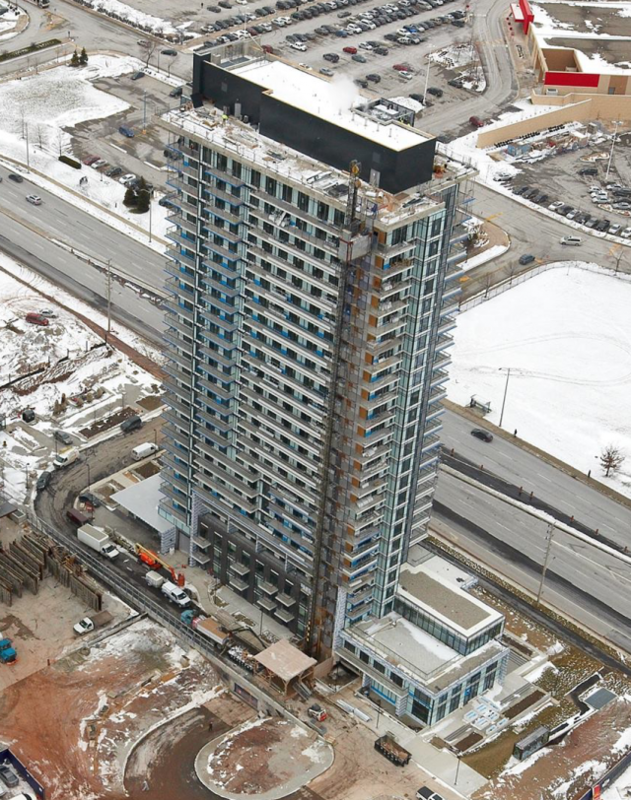 Following our study, The Daniels Corporation and Sun Life Assurance Company of Canada commenced construction of a 25-storey, 324 unit purpose-built rental apartment project on the subject site called Skyrise, which commenced occupancy in March 2016.